Hello everyone! I am still at my Dad’s in Hannibal and not been able to do much crafting. However last week we did spend a couple days at the craft fair that was here in town. I thought I would share a few of my awesome purchases. 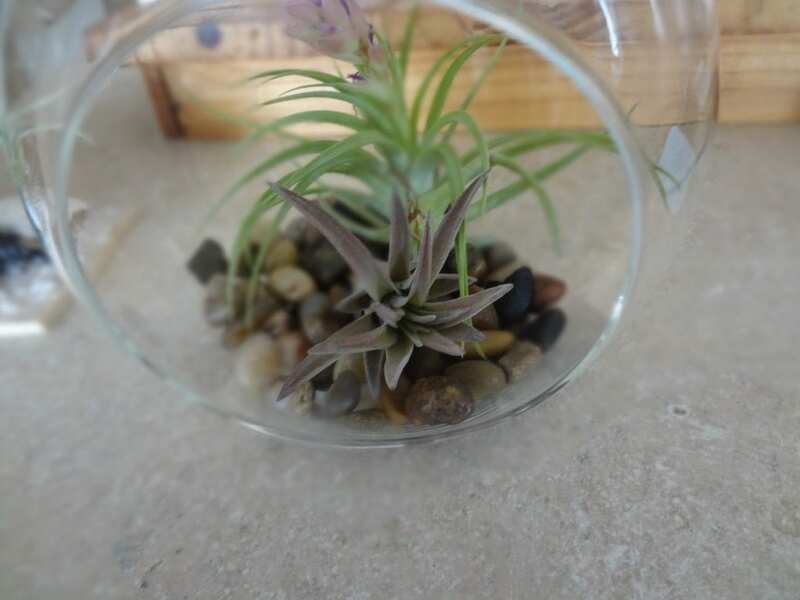 There was two booths that were selling air plants. One had them set on pretty seascapes. 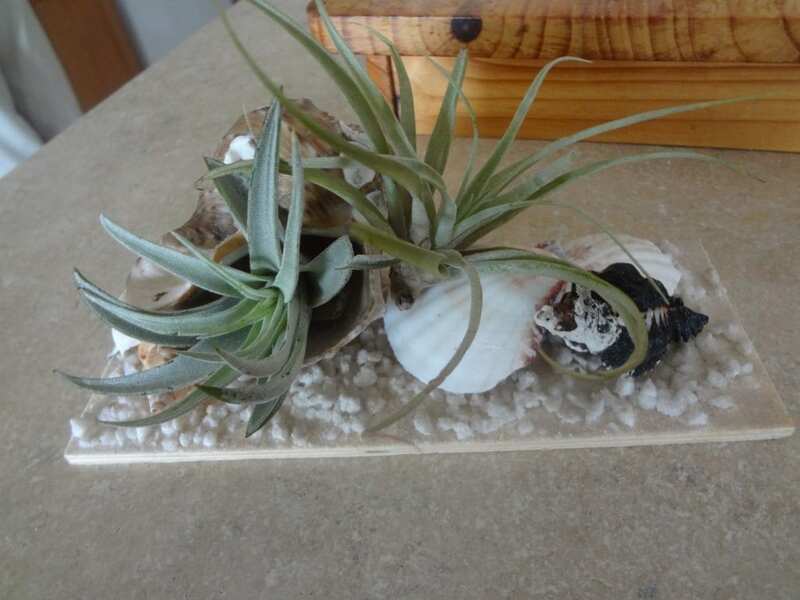 I got one of these for my desk the first day and an extra plant to put in some driftwood (dad and I picked up a few nice pieces on one of our walks. 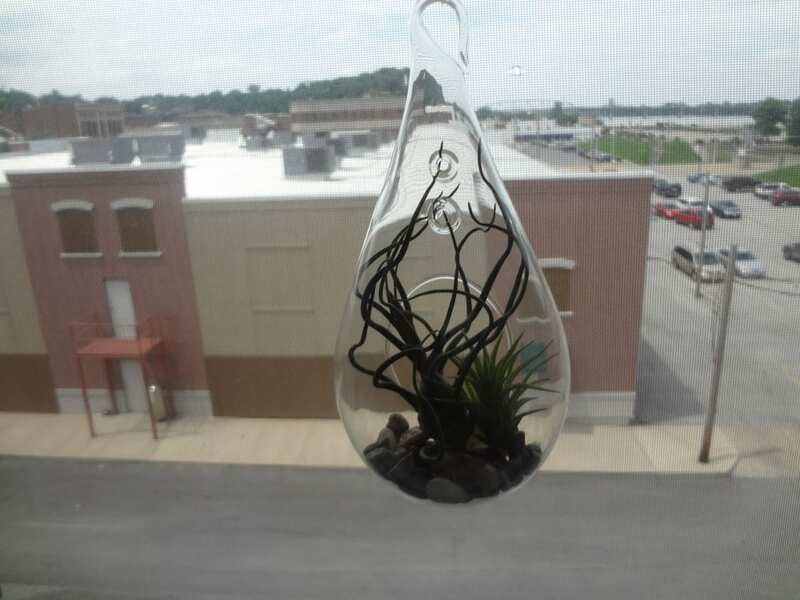 Saturday we found these cute hanging globes with airplants and these were already in bloom. I decided to get another to hang in my office since Chloe likes to steal stuff off my desk. Now if I can keep her from trying to climb the curtain to get at it. The round one is mine and the teardrop one is Dad’s. 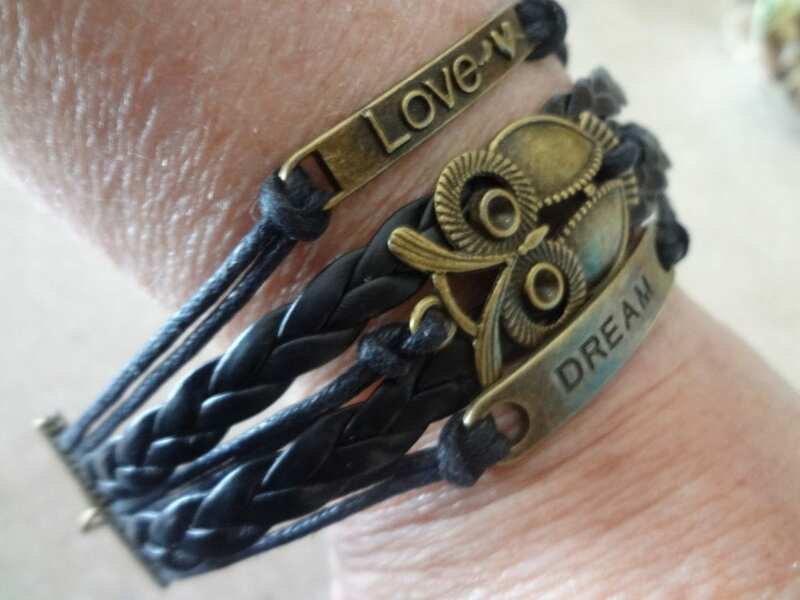 I got two nice leather bracelets and a slave bracelet. 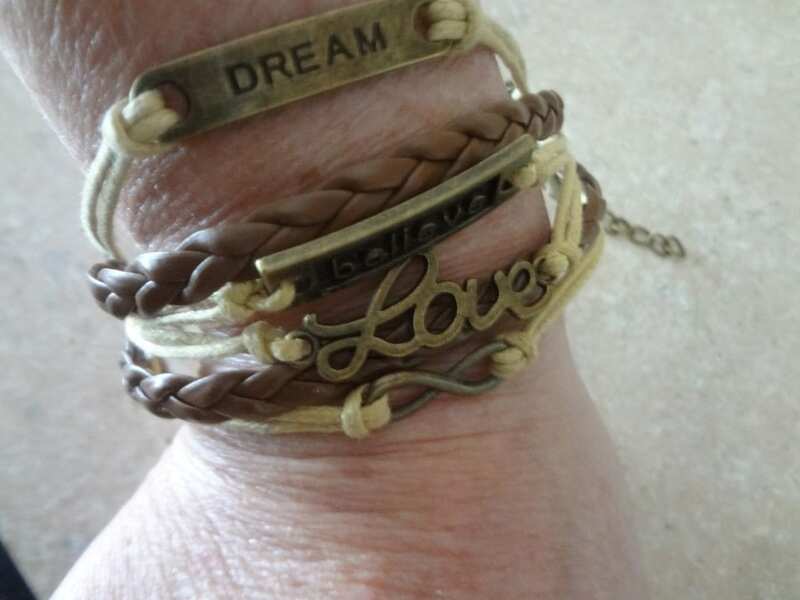 I haven’t worn jewelry in a while but decided to get me some casual things I can wear daily. My niece went to get another ring like she had gotten last year and the seller made us a deal saving us each five dollars so I got one as well. 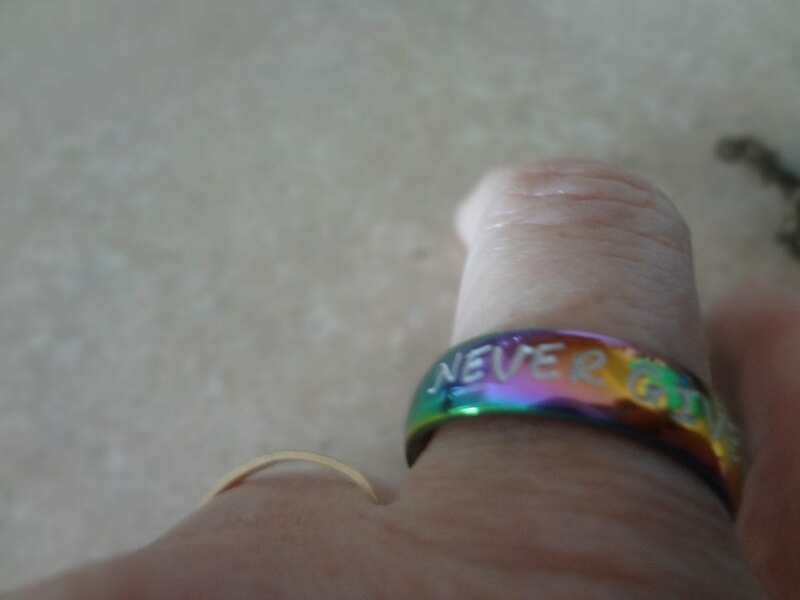 Mine says never give up—never fail a reminder for myself when I feel like I am failing and want to give up…which has been a lot lately. 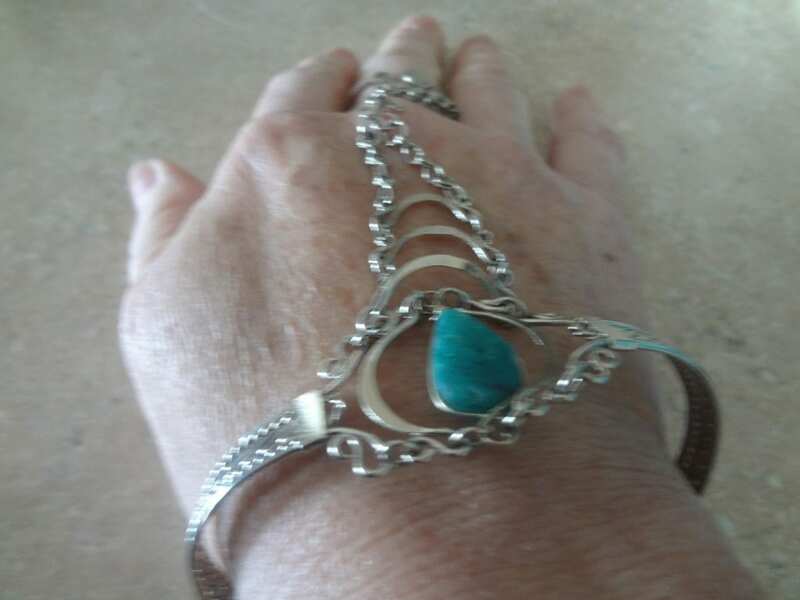 I also got this beautiful locally made Indian jewelry. Sorry the picture of it disapeared! There were so many booths even in three days I am sure we missed a few. We did get some dip and soup mixes as well as the other stuff. My niece got a crocheted top. I think I may try to make the skirts I saw there. She is an adorable 17 year old cheerleader with a cute body. She can carry off that look. 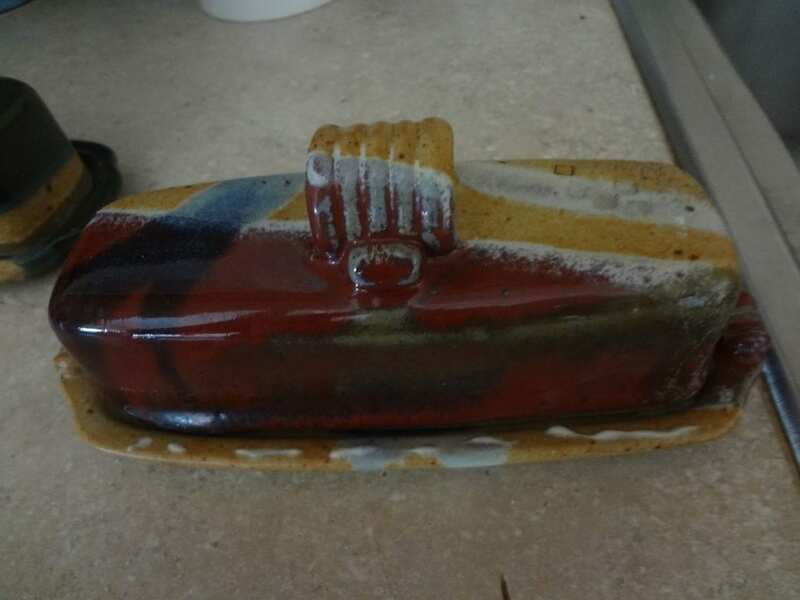 There is this amazing pottery shop in town that I have eyed since the first time I came up here. I had hoped to get a lesson but they no longer do that. 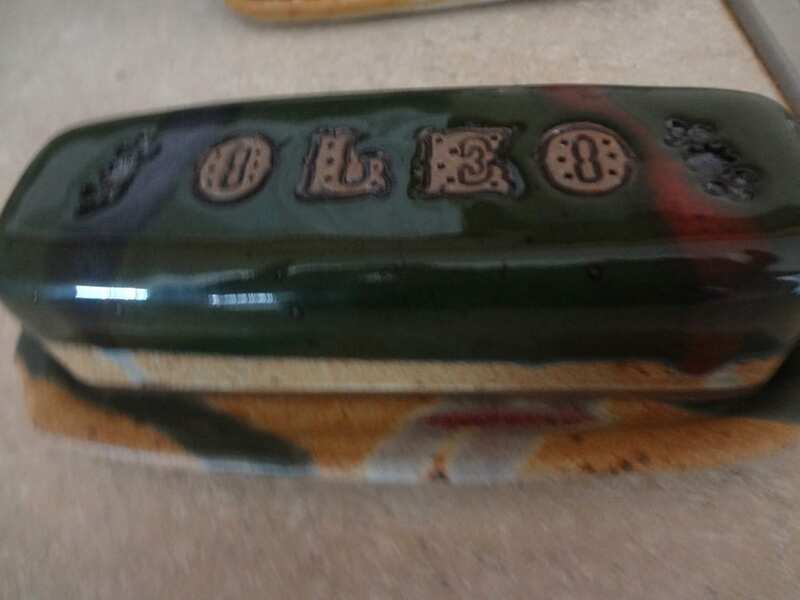 Dad got a beautiful butter dish and I got him a green one that says Oleo on it. I decided I wanted to replace all my old sets of dishes at home with one nice one so we went back and got a complete set for home. 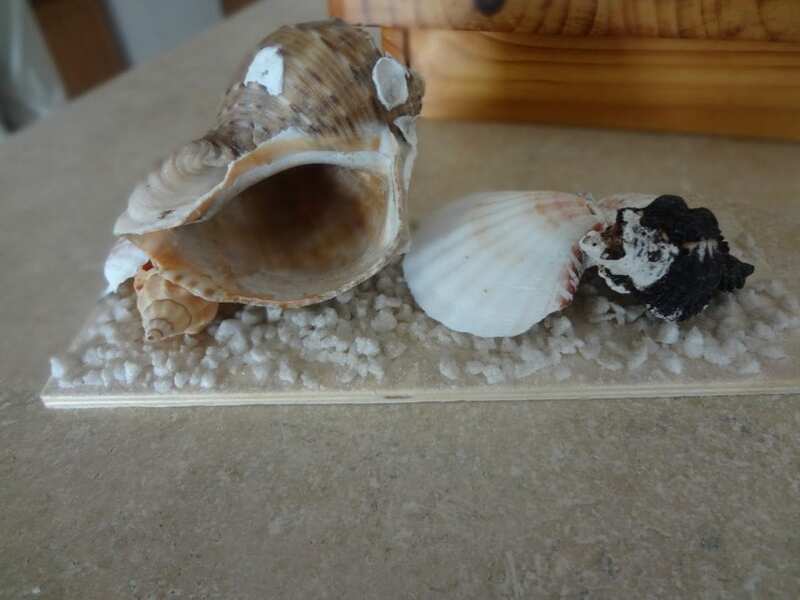 Have you been to any craft fairs or shows this summer? Did you find any great items? I do love that slave bracelet–how attractive! I am afraid I am do not possess great crafty hands. I love to crochet but usually don’t get the bug until cooler weather hits in November. I like to paint with acrylics too. Enjoyable post!